Wilwood’s MC4 Mechanical Parking Brake Caliper is a multi-use, cable operated brake caliper that combines high output performance with simplicity in design and construction, and is the perfect solution for vehicle applications requiring a separate, mechanically actuated parking brake caliper. 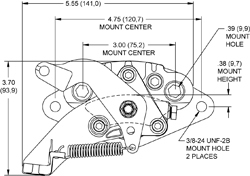 Built to accept rotors that are .810” thick, with 11.00” - 12.88” diameter range, the MC4 combines an efficient die cast body with a forged billet anvil for superior strength under load, yet is lightweight at only 3.30 (2.95 without pads) pounds. 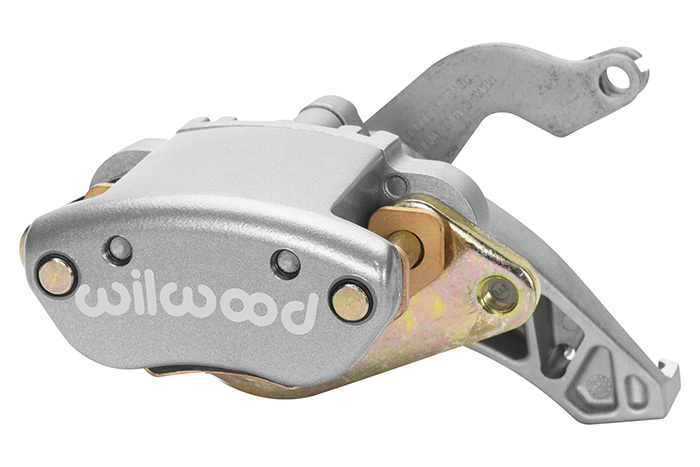 Supplied with each caliper are our Composite Metallic (CM) high-friction, high static-hold brake pads, and are pre-fitted with noise cancelling shields.